Researchers say they’ve developed a new method of powering electric cars that successfully balances zero-emission standards, increased capability, and potentially a fix to costly production. Using water, carbon-dioxide, and cobalt, the new method is able to produce hydrogen gas that can be purposed for fuel, emitting only water vapor. Once the hydrogen is produced in the new model, the gas goes to a fuel cell and is combined with oxygen from the atmosphere. From there, the hydrogen can then be used to create electricity to power the vehicles motor, headlights, and more. ‘This process doesn’t store any hydrogen gas, so it’s safe and poses no transportation issues, greatly minimizing the possibility of a fire or explosion,’ said UMass Lowell Chemistry Department Chairman, Prof. David Ryan in a statement. ‘Hydrogen burns completely clean; it produces no carbon dioxide, only water. And, you don’t have to burn hydrogen to generate electricity. One major benefit to the new technology according to researchers is that unlike the current breed of electric vehicles, which rely on batteries that must be recharged semi-frequently and is viable only for smaller vehicles, this method would be capable of powering trucks, buses, and more. Not only that, but creators of the technology say that their method would also solve some of the major problems associated with using hydrogen fuel as a replacement for fossil fuels. Among the major fixes, they say, is cost. Current methods of producing Hydrogen cost about three time as much as natural gas per unit of energy produced. ‘Since hydrogen is not mined or pumped out the ground like fossil fuels, we have to produce it. Current methods of doing that are expensive and inefficient,’ said Ryan. Developers of the technology already have a provisional patent on the method and are waiting to be awarded a full one. 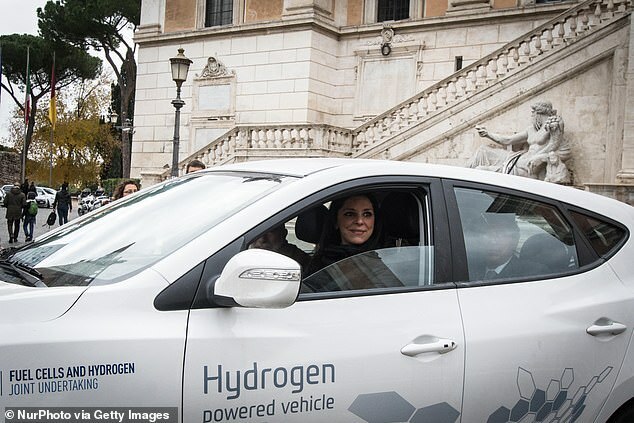 Hydrogen fuel cells create electricity to power a battery and motor by mixing hydrogen and oxygen in specially treated plates, which are combined to form the fuel cell stack. Fuel cell stacks and batteries have allowed engineers to significantly shrink these components to even fit neatly inside a family car, although they are also commonly used to fuel buses and other larger vehicles. Oxygen is collected from the air through intakes, usually in the grille, and hydrogen is stored in aluminium-lined fuel tanks, which automatically seal in an accident to prevent leaks. Reducing the amount of platinum used in the stack has made fuel cells less expensive, but the use of the rare metal has restricted the spread of their use. 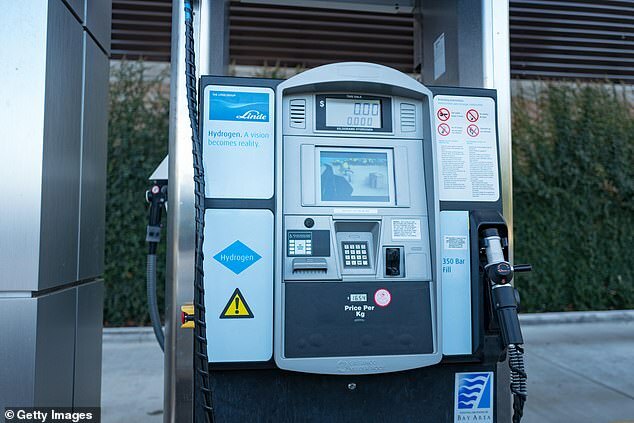 Recent research has suggested hydrogen fuel cell cars could one day challenge electric cars in the race for pollution-free roads, however – but only if more stations are built to fuel them. According to Information Trends, there were 6,475 FCV’s worldwide at the end of 2017.